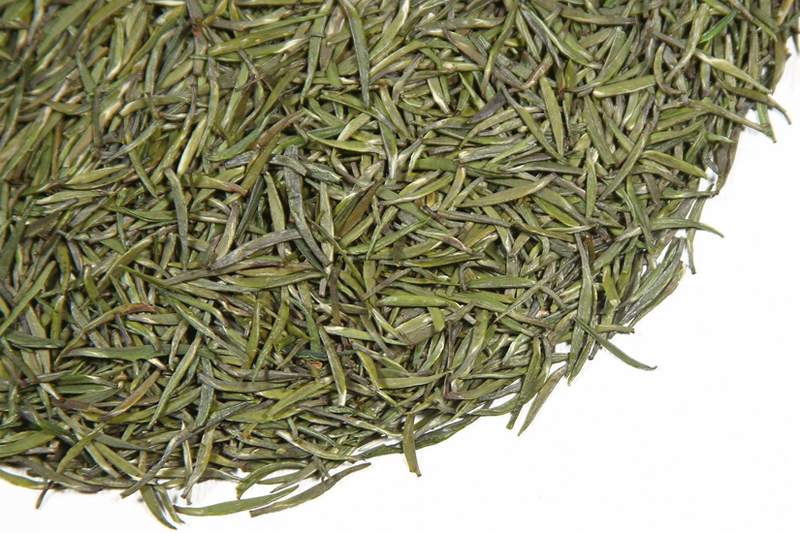 Zhu Ye Qing (Bamboo Tips) is a very special tea and we are thrilled to have it back again. 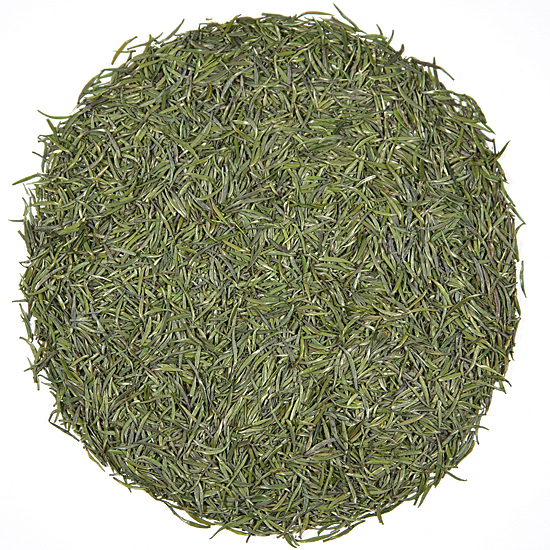 At Tea Trekker we are very fond of tea from Sichuan Province, and this is one of our favorite Pre-Qing Ming green teas. 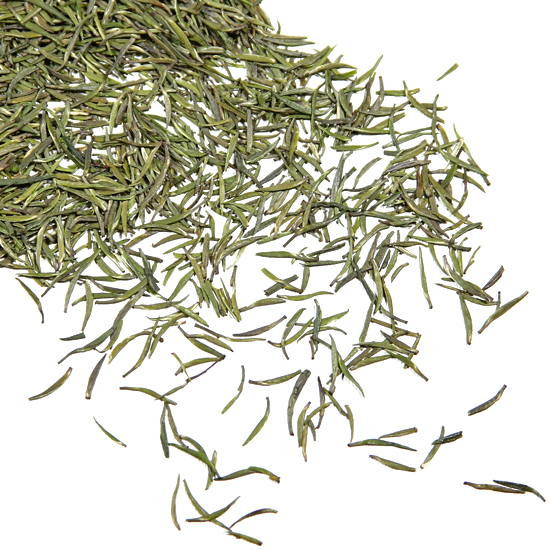 It is also one of the earliest teas plucked in China at the beginning of each new tea year. Zhu Ye Qing is a gorgeous tea. 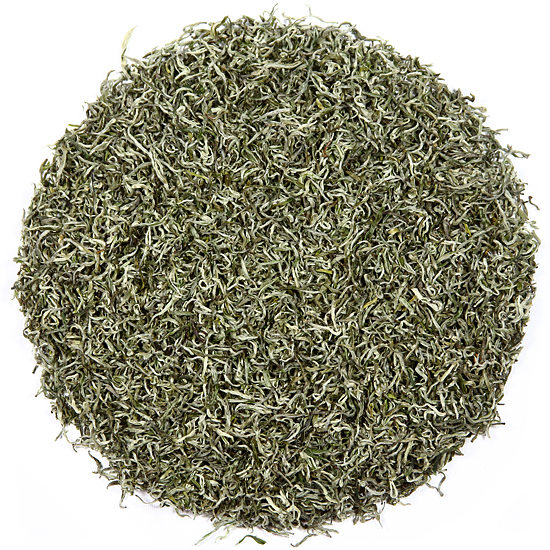 Look carefully at this smooth, slim, tiny, slightly curved bud with tiny side leaves – it is a marvel of tea plucking expertise and careful manufacture. This type of carefully-rendered, hand-crafted tea is becoming rare in go-go China today. Because of the enthusiasm with which we pursue acquisition of this tea, we have been able to maintain our price on this tea again this year. This is an excellent year for this tea, taste-wise, (due to the little bit earlier start to the season compared to last year) so if you are not familiar with this amazing tea, this could be a great year to ‘discover’ Zhu Ye Qing (or re-discover it if you haven’t tasted it for a while). We are now on our second shipment of this delicious tea, and we think that it is definitely a toss-up as to which of this year’s batches we like better. They are so similar that it is a difficult call, and the great news is that they are both so good that it doesn’t matter. In the cup, the liquor has a sweet / mildly astringent flavor reminiscent of delicate spring bamboo shoots and asparagus. These qualities, coupled with the vibrant vegetal aroma and freshness of its early plucking time, gives the tea backbone and structure, like a fine Riesling wine. The taste of the tea flirts with the palate and is a sheer delight. This year (2018) this tea can be steeped light (both in quantity of leaf used and/or time in-the-water) in which case the liquid tea will have a subtle but wonderfully pure flavor. If you prefer more of the vegetal flavor for which this tea is known, then use the traditional amount and steep for the classic two minutes to achieve one of the best cups of Zhu Ye Qing that we have tasted in years…for this is truly a great vintage year for this tea. Zhu Ye Qing is a modern-era tea but it is already a classic. Zhu Ye Qing (Bamboo Tips) is the most famous tea made on Emei Shan, which is one of China’s four sacred Buddhist mountains. Here, tea grows in the cool, thin air of high elevation and is surrounded by vast expanses of bamboo forest. In these forests, nourishing moisture (known as clouds & mist) develops and rises up from the valley in the early morning and evening hours. When we visited this remote tea growing area on one of our tea-buying trips we rode a cable car from the top of the mountain down through a pristine bamboo forest. The silence of the forest was serene, punctuated only by bird songs, insect calls, and the gentle sound of the movement of giant bamboo. The scenery here is stunning and the forest is a study in the graceful movement of many species of giant bamboo growing in the wild. At our destination we were treated to a lunch in which every dish contained bamboo, either as a main ingredient or important flavor component. We were served Zhu Ye Qing (Bamboo Tips) as an after-meal tea, and it was the perfect finish to such a grand meal. With its sweet, rich flavor that is so reminiscent of freshly-harvested bamboo shoot, and being from the same location, the terroir aspect of this combination really worked. This mid-day adventure is one of our fondest memories of China.